You could use regular concrete, but I like that the Maker’s Mix is light weight. Mix together enough concrete to fill the base of your glasses. You want it to be the consistency of natural peanut butter. 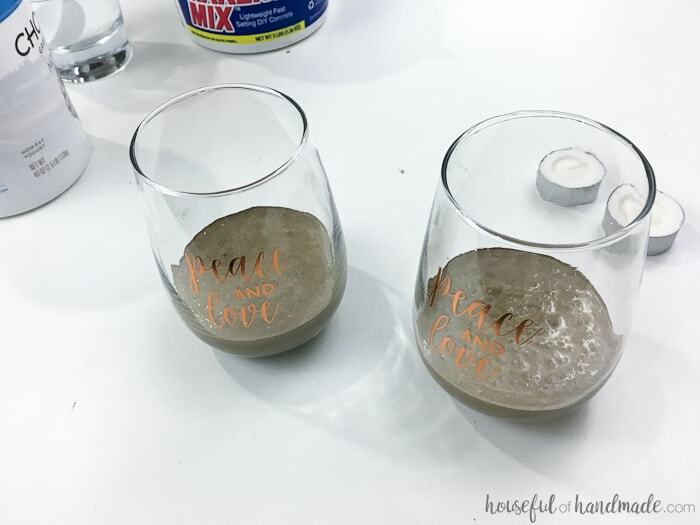 I used 1 cup of Maker’s Mix and 4 Tbsp of water for my 2 glasses. 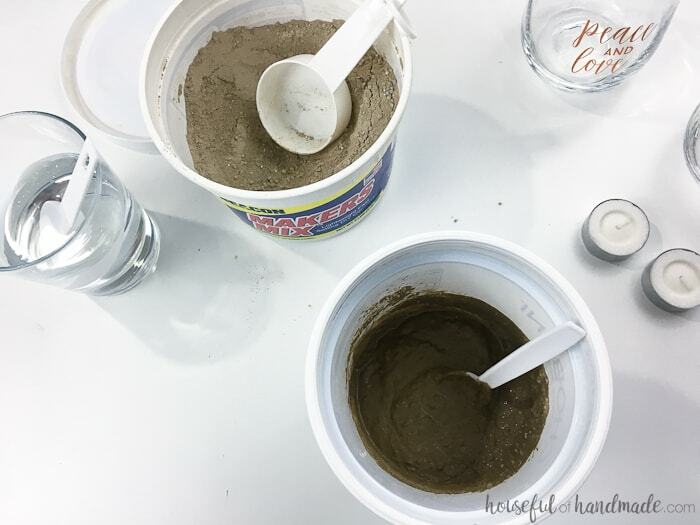 Scoop the mixed concrete into your glasses. 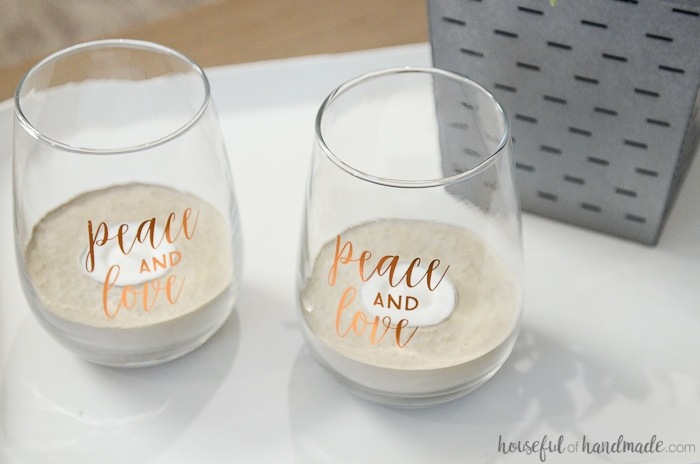 If you get any on the sides of the glasses, wipe it off immediately with a damp paper towel. Tap the glasses a few times on the table to smooth out the surface and release any air pockets. 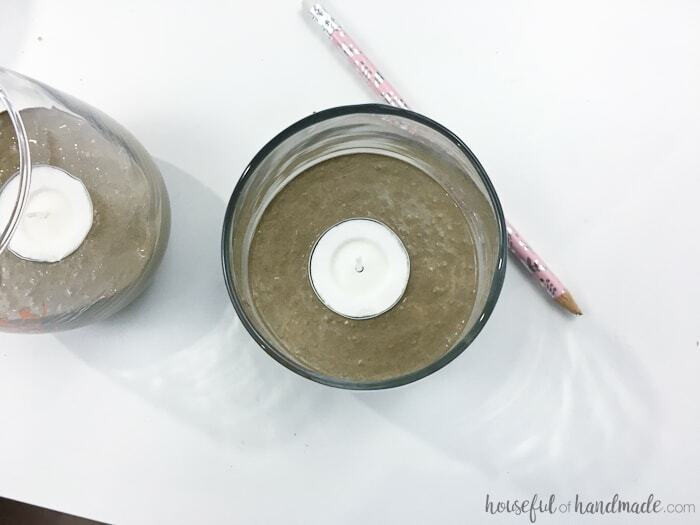 Then lower your tea light into the center of the wet concrete. Press it into the concrete until the top of the metal cup is flush with the top of the concrete without any concrete getting into the cup. Since the stemless wine glasses are narrow at the top, I used the back of a pencil to gently push the tea light down. Now all that is left is to wait for your concrete to cure. The Maker’s Mix doesn’t take too long. Mine were hard to the touch in about an hour. But the longer you wait, the lighter the concrete will become. 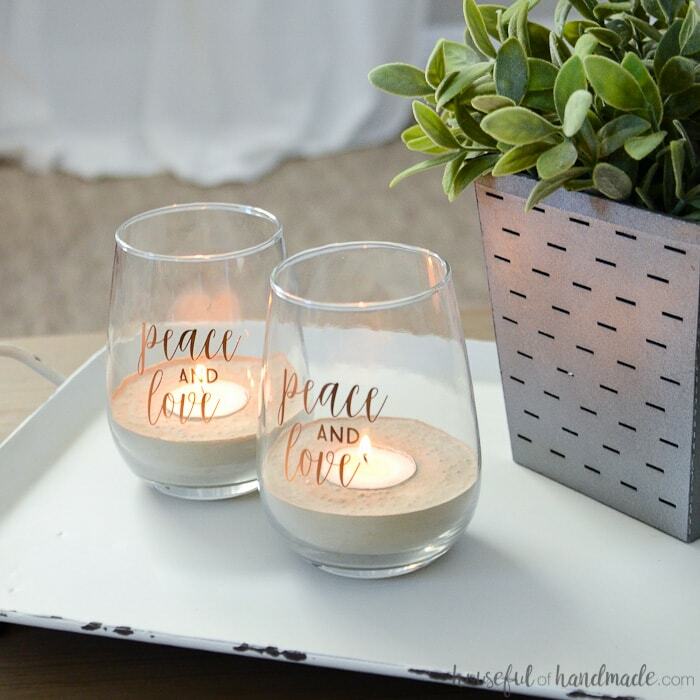 I love the light gray look of the concrete in the base of the glass. 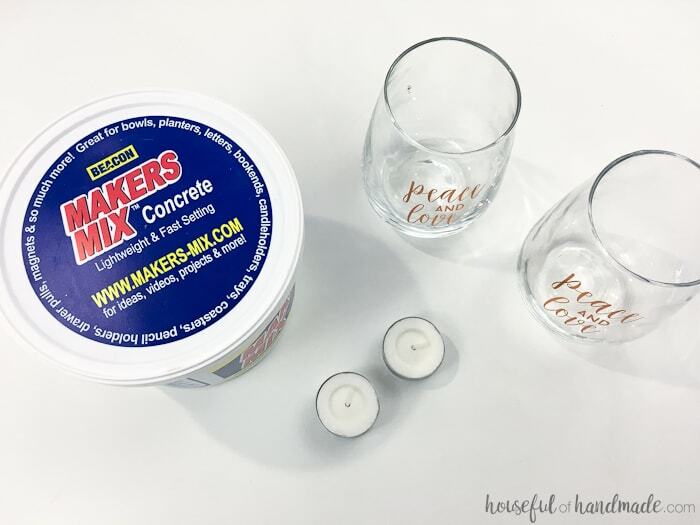 Once your concrete is cured, you can light up the candle in your new tea light candle holders and enjoy the soft flicker of the flame. And now I am ready to start decorating for Christmas. Bring on all things Merry & Bright!